opened at the Women’s Centre. Preston Road became the first council estate in the country to have the services of a community paramedic assigned to it. 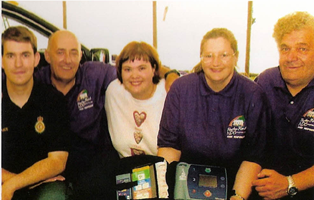 John Burnham, who worked for the Ambulance Service, took up the role to help tackle the level of heart disease in the area and recruit volunteers to form a “first responders” group. In August, East Hull Community Transport was expanding, to launch H2H, a service for taking people to visit patients in hospital. The proposed childcare building for the Village Centre received a financial boost in September with £80,000 from the National Lottery’s New Opportunities Fund.